Single Game Tickets are on sale now for the 2019 Season! Secure your seats for the best games this season, from Opening to the Fourth of the July! Enjoy the RailRiders Suite and Club Level with our Premium Seating options. Club Seats and 4Topp tabling are on sale now. Don't wait as we are almost sold out! Have fun and benefit your group! Are you a part of a charitable organization, school or a 501c3 registered non-profit? Then your group or organizatio ncan sell RailRiders tickets for just $12 and watch the profits roll in! Plus, a great night of entertainment to celebrate your hard work. Variety is the name of the game! Whether its a Full or Half Season Ticket Package, or our Partial Season Ticket Packages, choose the perfect number of games for you. Combining exclusive seating, an excellent view and delicious catering options, you'll experience a RailRiders game in comfort and style. For groups of 50+, exclusive seating and delicious menus. 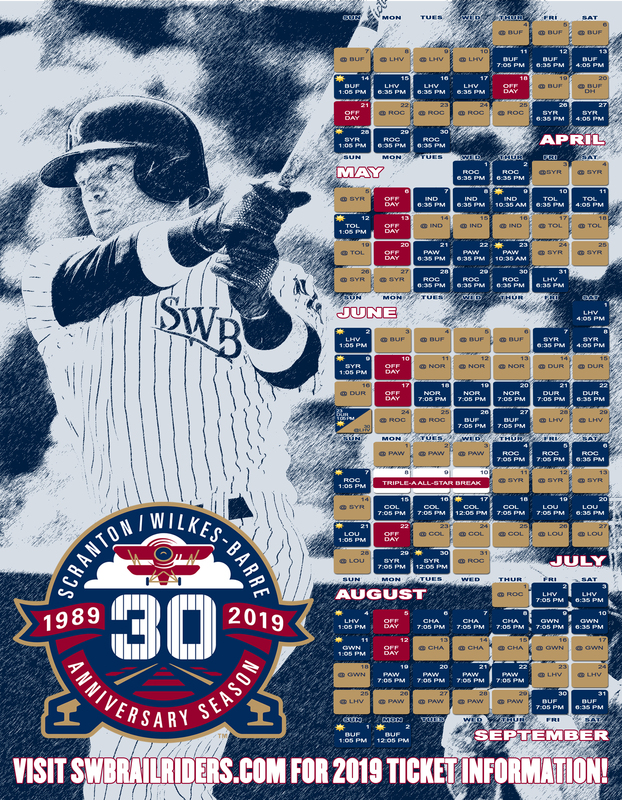 You'll experience RailRiders games from a whole new perspective. Fun for all! If you have a group of 10 or more and want to enjoy a RailRiders game while receiving VIP treatment - all at a low price - our Group Seats might be your best bet. Bring your youth organization out to PNC Field with numerous youth programs and ticket options!